After Superman, Spiderman, Iron Man and Batman, gear up to witness the next superhero sensation to hit screens globally with KRRISH in ‘Krrish 3’. A marvel in the superhero revolution, ‘Krrish 3’, is a newest rendition of the superhero genre, led by international cinema supremo Hrithik Roshan. 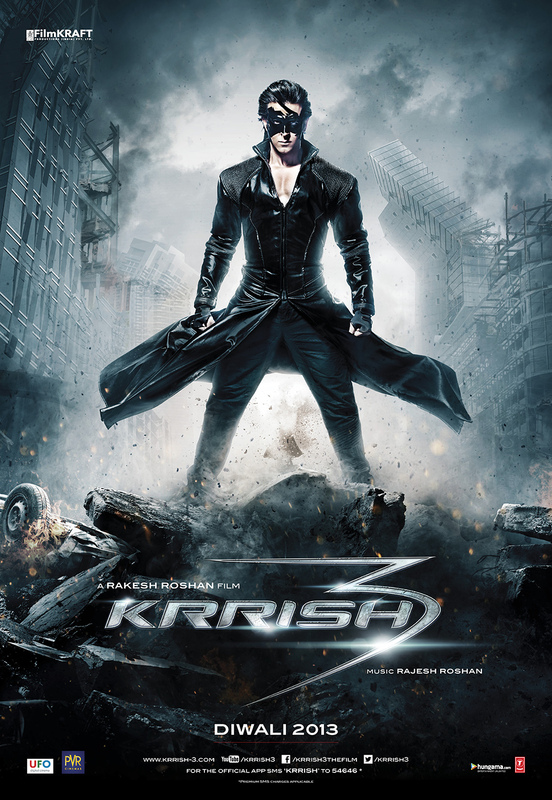 High on superheroes, special effects and thrilling action, the trailer for the most anticipated film of 2013, ‘Krrish 3’, has been launched to raving reviews from celebrities, film pundits, media and fans alike. Launched by director Rakesh Roshan and the leading cast of the film Vivek Oberoi, Kangana Ranaut and Krrish himself, Hrithik Roshan, the trailer has set new benchmarks, crossing 3.2 million views on YouTube in 36 hours of its launch. To date the trailer is set to surpass a record 6 million views. Audiences are in for a triple treat with Krrish 3 as India’s most critically acclaimed and fan-adorned, multi-faceted artist, Hrithik Roshan, will be seen playing a triple role in the film, that of Rohit (Krrish’s father), Krishna (alter ego of Krrish) and Krrish (the superhero). The next installment of Rakesh Roshan’s science fiction series, ‘Krrish 3’s first trailer begins with the possibility of a milestone discovery by Krrish’s father Rohit (Hrithik Roshan) followed by the introduction of a malevolent genius ‘Kaal’ (Vivek Oberoi).’Kaal’ is aided by a vamp (Kangana Ranaut) whose persona reminds one of a mixture of Catwoman and Black Widow. Audiences also catch a glimpse of Hrithik’s leading lady in the film is Priyanka Chopra, who will be seen in two unique avatars. ‘Krrish 3’ will be released in the festive season of Diwali 2013. Priyanka Chopra brings in the crowds for Guess!